Beautiful fabrics tend to stop me in my tracks, particularly ones that translate an artist's unique, creative spirit. Turns out, Kari Fisher lives just a few miles away from me in the Virginia Highlands area of Atlanta. 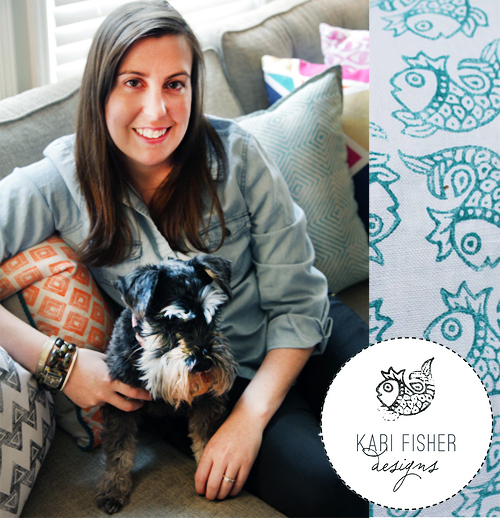 On a recent visit to her home, I learned how Kari was an interior designer for six years before starting her own business in crafting block prints for pillows and custom pieces. 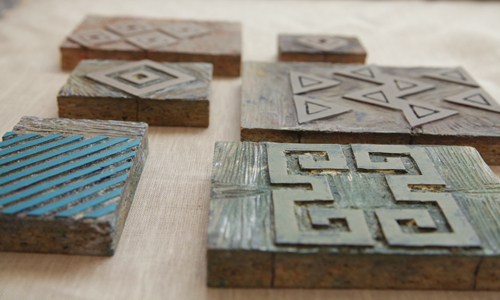 Block printing has been around for thousands of years with origins in India, China and Japan. The earliest surviving examples come via China, which date back to before the year 220. This art form became popular and lasting as the artist at hand was able to create vibrant, intricate designs without the need for multiple tools or arduous processing. Plus, the results were immediate and impressive. 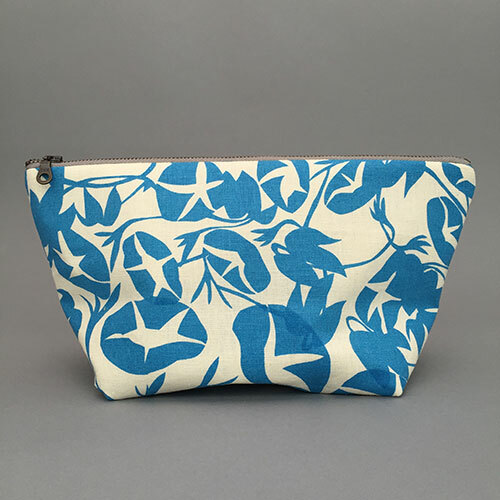 A lover of art history, Kari taught herself how to block print and when I asked what she loved about it, she shared that it's "causal, flexible and impefect." 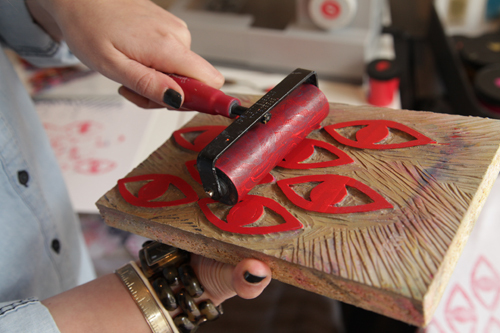 As each imprint is done by hand, there will always be variations in coloring, texture and alignment. That's what makes each piece uniquely beautiful. Plus, as Kari will attest, it's an inexpensive business (or hobby) to start as materials needed are minimal and the medium provides incredible flexibilty in playing with pattern, color and fabric. What's beautiful too is how Kari can take an ancient art and make it feel modern and accessible. 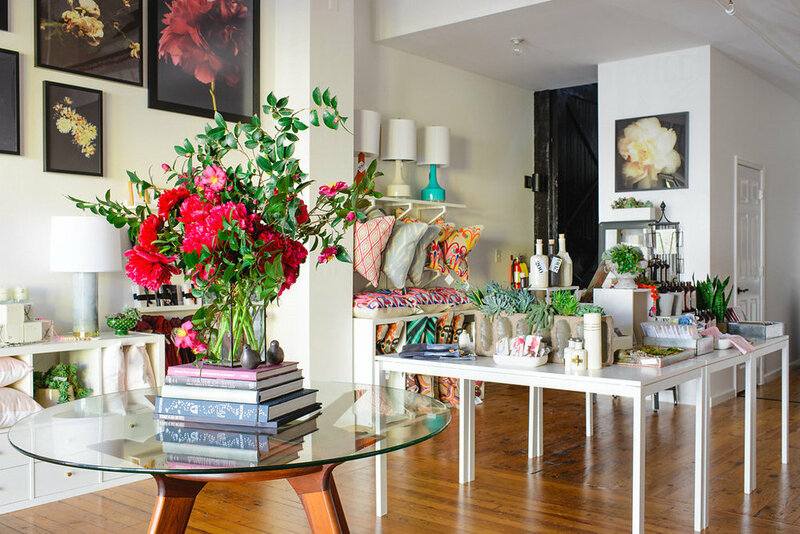 The colors and designs she creates are very fresh and in demand, yet still feel timeless. 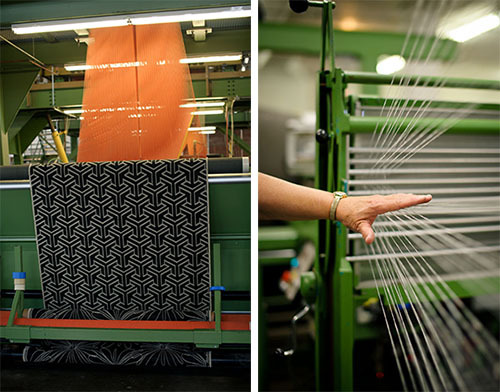 These are well made textiles that are made to be passed on, generation to generation. Kari made this incredible elephant pillow for One Kings Lane, which was recently featured in their shop. 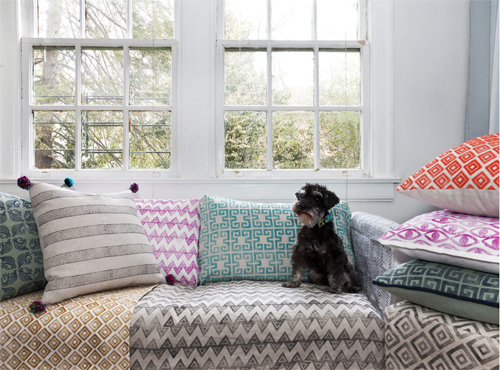 I'm a sucker for this Draper pattern too which is a geometric Greek key print. Plus, how can you say no to turquoise? 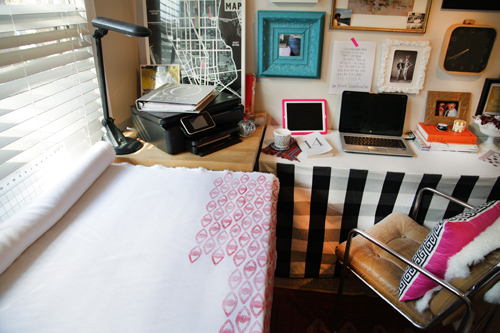 It was certainly a thrill to take a sneak peek into the workspace of a block print artist and learn more about this amazing art form (that I hope to see more of). Kari doesn't know another artist in the state of Georgia that does what she does and believes there are currently very few hand block artists thoughout the US. 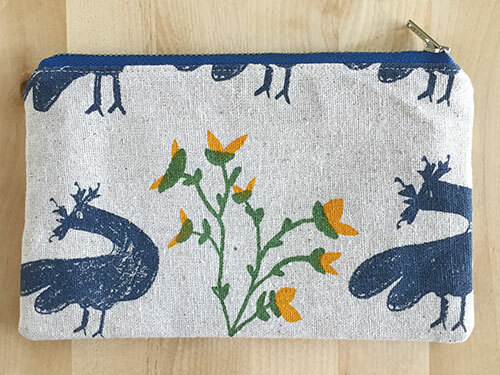 All of Kari's creations are handmade using 100% linen fabric. As an Interior Designer by trade, Kari custom makes much of her work for designers throughout the state and beyond. 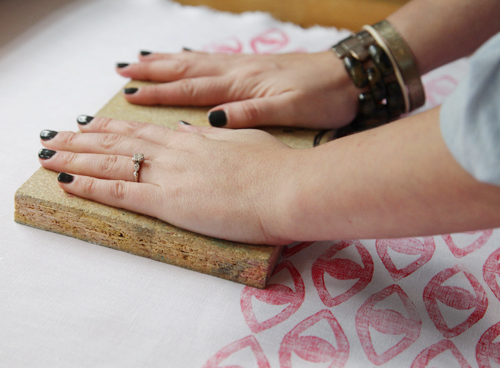 So whatever your heart's desire- if you want a specific hand block print made in a particular color and size with this or that fabric and embellishment- she's your girl. 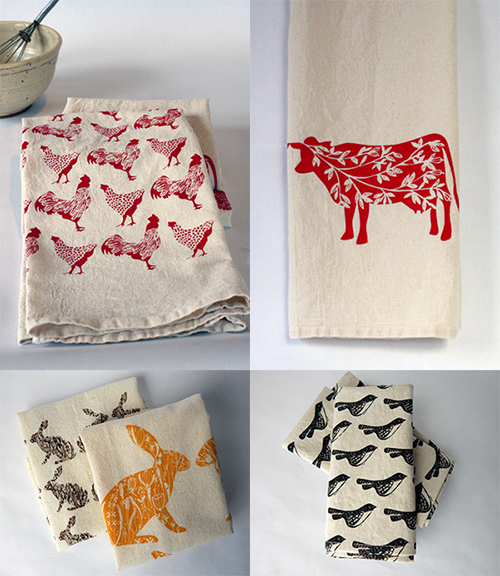 Bookmark her site as she'll be expanding her line of wares this year to include napkins, tea towels and fabrics by the yard. 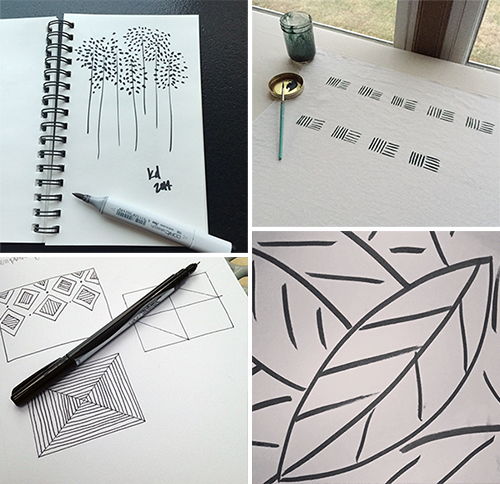 And thank you Kari- not only for teaching yourself this lovely, ancient art form, but for answering my Instagram! Jen is a very kind and generous soul. It was clear from the moment we met that she created this company to do good. 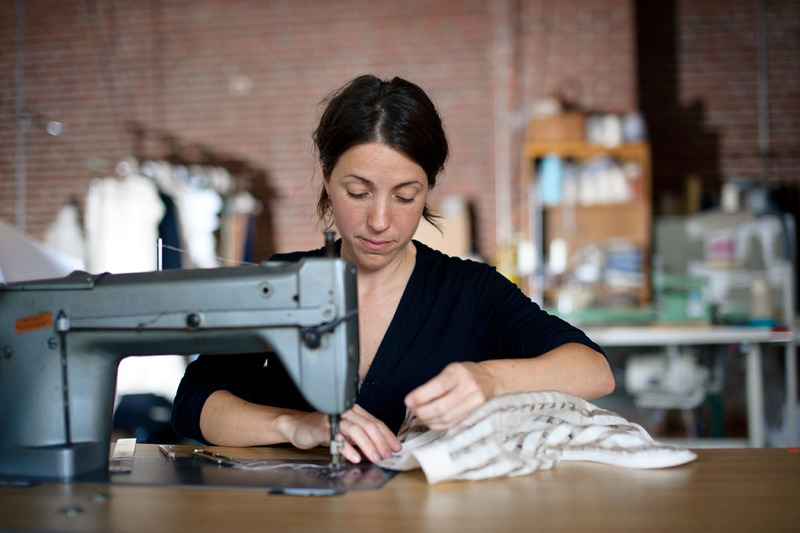 Her mission is three fold- to help the planet (by reusing fabrics), to help women (she employs refugee women in the Atlanta community to sew the products) and to help the community as a whole (at least 10% of each sale goes to her non profit partners, Fugees Family and Global Village Project). She's a gem. Jen "I hope to appeal to people who care about the world but also love an artful home." 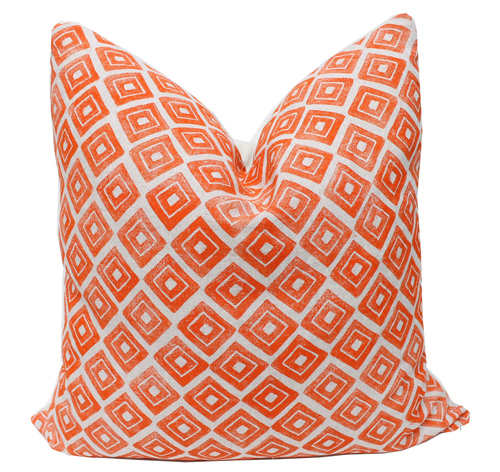 Her pillows come in four sizes; 12 x 16, 12 x 20, 18 x 18 and 20 x 20. She's also happy to custom make any pillow using your own favorite piece of fabric. As sari's are often only worn on special occasions, there is a plethora of extra ones available. She finds many donated from within her community. Sari's are usually 5-6 yards in length, so the women artisans are able to make 10-15 pillows from just one donated sari. They also utilize upcyled fabrics from Africa, Japan and China. After much delay, I finally purchased a new sofa via k2 Studio in Asheville. And now that I have this nice, cozy sofa, I realize how bad I could use a good blanket. 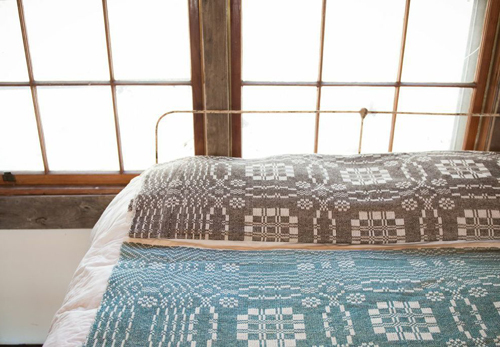 A talented artist in Austin, Texas seems to know all about good blankets. In fact, I'd say her blankets aren't just good...they're exceptional. Maura has a true love for the craft. As she shares, "The art of hand quilting does take more time, but the results are greater and more valuable than a manufactured quilt. " If she has a large order, she relies on other quilters or sewers in the Austin community to lend a skilled hand. 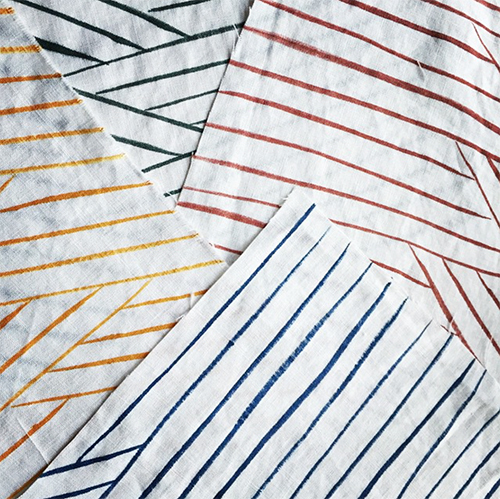 Another aspect to truly love about Maura's process is that she organically grows, forages and harvests all her natural dyes in and around Austin. This includes indigo, cochineal, walnut hulls and onion skins. 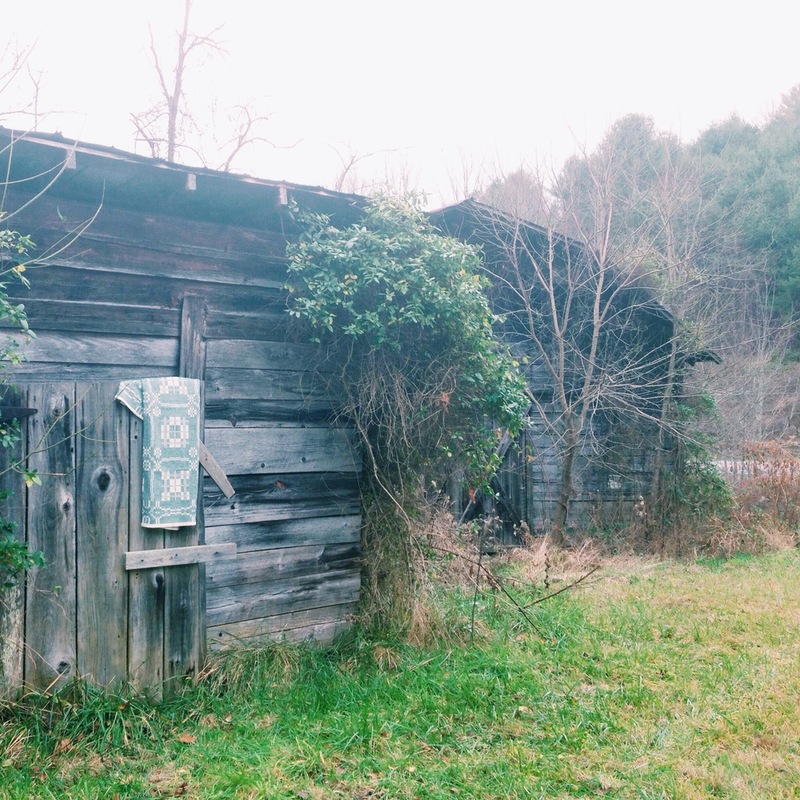 As she shares, "I patchwork my dyed fabric with other fabrics, both vintage and new. 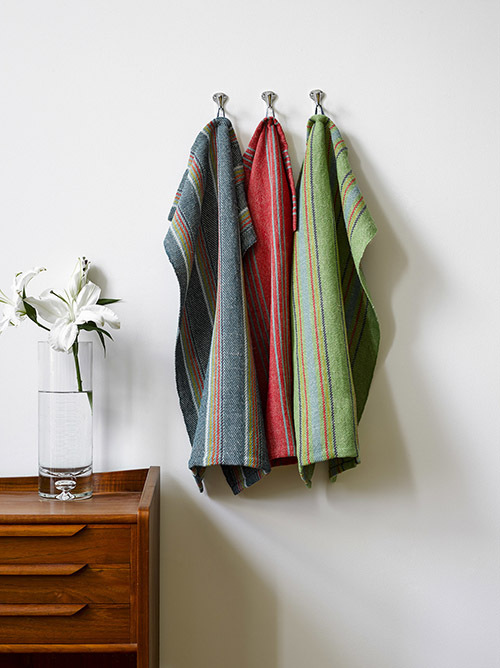 I am faithful to using 100% natural fibers; they feel better and live longer." 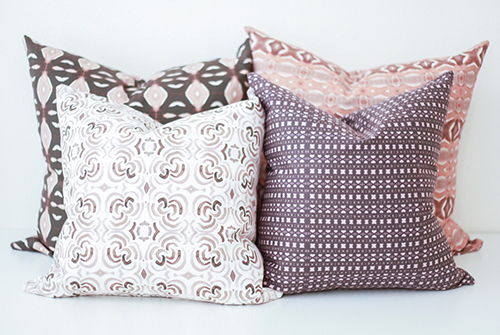 Maura creates lovely pillows as well that are hand dyed with natural dyes and include a feather/down insert. It's nice to see Americana quilts handmade with so much care and attention. These truly are heirlooms that can be passed down, generation to generation. 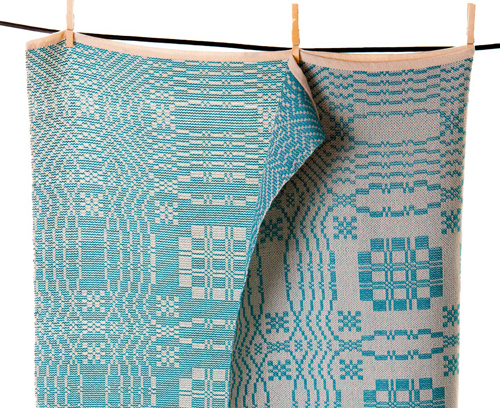 Learn more about Maura and Folk Fibers, here.